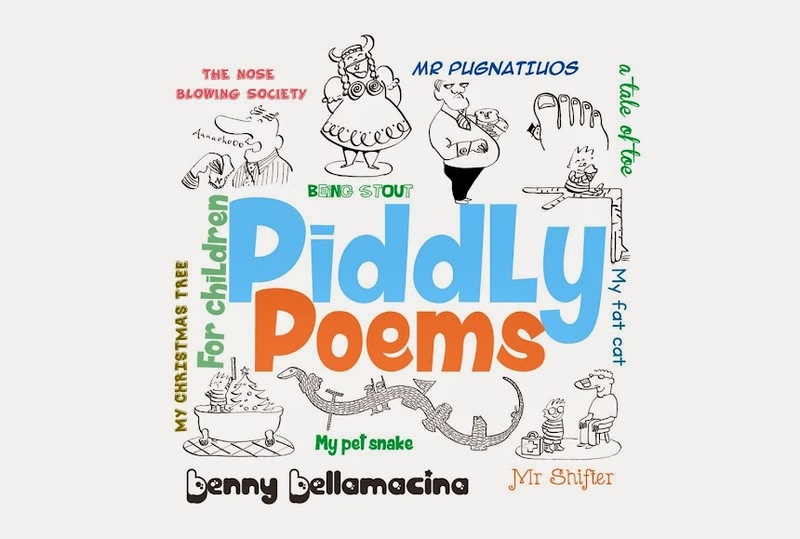 Poems by Benny Bellamacina taken from the top selling UK series of books "Piddly poems" for children. 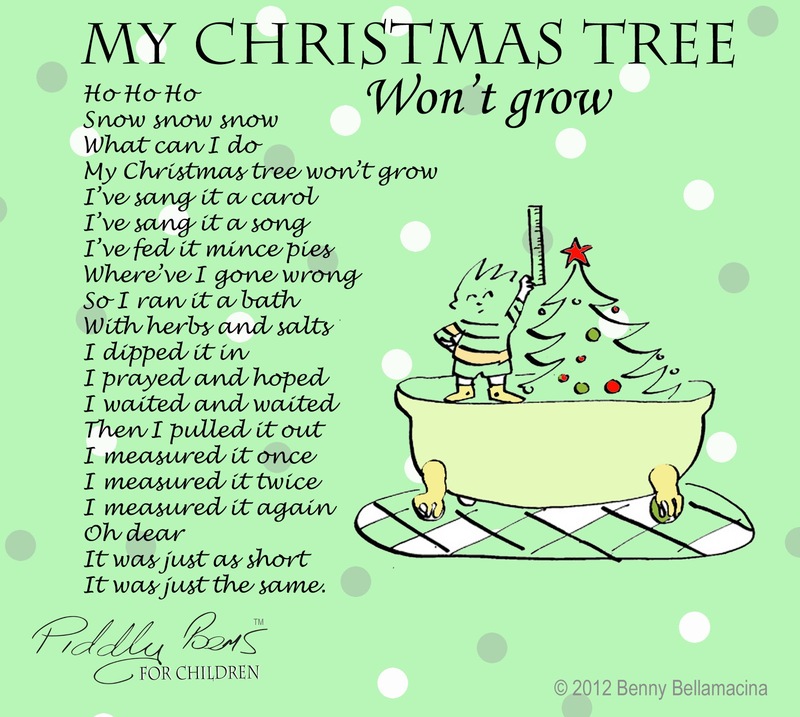 A Piddly poem for children "My Christmas tree won't grow" taken from the new book "Piddly poems compilation" Out in shops across the UK soon. Love that poem! So simple and yet fun to read. I'd really love to include this in my favorite list of short Christmas poems. Thanks for sharing the joy. Cheers! Love it! Reading poems is one of my hobbies. 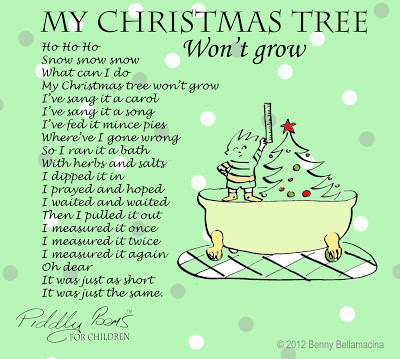 Lately, I've been reading Christmas poems and sorta collecting them for later reads. Cheers! Cool poem, fun and amusing. Little Luigi (A musical adventure) Audio book.